We are very grateful that you are willing to volunteer your work in Rome, Italy and cover your out-of-pocket expenses. We want to make certain that your work in Rome uses your special skills and experience so that your work will better serve the needs of our educational charity. As a volunteer worker your expenses of flight, housing, and meals may be deductible as out-of-pocket expenses. Due to recent tax code re-interpretations, our accountants suggest that all out-of-pocket expenses including flight, lodging, and meals be paid by donation through the charity. To our knowledge no contribution for flight, lodging and meals by a volunteer to our charity has ever been challenged in an audit. Please E-mail us to get more information about how to handle your expenses of flight, lodging, and meals. To help us invite you to hold a specific volunteer position in Rome, please email us. Thank you again for volunteering to work in Rome. To apply as a volunteer helping the Rome Festival Orchestra Ltd in Rome Italy. Please include what volunteer work you want to do in Rome, Italy. 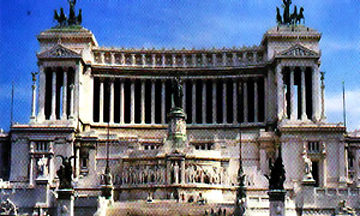 Please include what volunteer work you want to do in Rome, Italy.